Maria Werdine Norris is a 3rd Year PhD Student at the London School of Economics and Political Science. She is researching the British Counterterrorism strategy and legislation, with a focus on nationalism, security and human rights. I was watching BBC News this past Sunday evening when the coverage inevitably turned to Ofsted’s looming report on the so-called Trojan Horse plot to take over Birmingham schools. To my amazement, the BBC chose to illustrate this story with pictures of the No 30 bus destroyed in 7/7 and of drummer Lee Rigby. The implication was clear, the situation in Birmingham schools is somehow directly related to the loss of British lives. I was amazed, but not surprised. The narrative surrounding this story has been problematic from the beginning. Take the ‘Trojan Horse’ moniker for example. In one level, it refers to the idea of ‘Islamists’ attacking the schools from within. However, Trojan horse may instead refer to the entire British Muslim population. 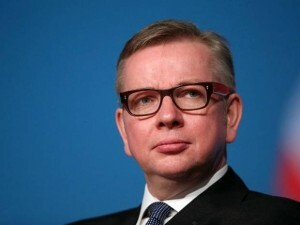 Whether a coincidence or a happy accident, Trojan Horse is the title Michael Gove gave to one of the key chapters in his book, Celsius 7/7 published in the aftermath of the July 2007 terrorist attacks. In this chapter, Gove writes “It is reassuring to imagine that the problem we face is restricted to a very small group of individuals”. However, he argues that this is not the case, that extremism is in fact prevalent in Muslim societies in Europe and the UK. The Trojan horse is then the British Muslim community as a whole, carrying with it the potential for destruction. Whilst in the past, the narrative focused on women wearing the hijab and on young Muslim men, the focus now appear to be on Muslim children and their families. For example, for a while this past March the headlines were dominated with stories of young British Muslims, especially girls, going to fight in Syria. In particular, there was a story about two 17 year old British girls who were arrested in Heathrow over suspected terrorist offences. These two girls were supposedly evidence of a ‘disturbing new development’, causing Scotland Yard’s counterterrorism officer, Richard Walton, to plead for British Muslims to help stop children turning into terrorists. However, at the very bottom of one of the articles, it was revealed that the two girls were released without charge. But details such as this do not matter when British Muslims are already seen as a suspect community. Words matter, and the idea of the Muslim community as a Trojan horse is widely evident in British counterterrorism policy. The Prevent programme, for example, tasked with stopping radicalisation, originally distributed its funding to priority areas which were based on demographics. If a local authority had a minimum 8% Muslim population, then it automatically received Prevent funding. No evidence of radicalization or extremism was needed. This supposedly ended with the 2011 Prevent review. However, this new version of the strategy moved the focus from violent extremism to extremism in general, widening the scope of intervention. Additionally, a friend working in the City told me of a recent training event where workers were told to watch out for signs of radicalization. The signs? Colleagues suddenly choosing to wear traditional ‘Islamic’ clothing or growing beards. The touted solution, the promotion of British values, is familiar to anyone aware of the British counterterrorism strategy. It has roots in the Community Cohesion response to the Northern Riots of 2001. Rather than a result of structural problems such as unemployment and poverty, the riots were framed as a failure in the British Asian community to properly integrate. The solution was the promotion of British values and the introduction of citizenship in the national curriculum in 2002. Almost ten years later, in 2011, Prime Minister David Cameron spoke at the Munich security conference that ‘an important reason so many young Muslims are drawn to [extremist ideology] comes down to a question of identity… these young men also find it hard to identify with Britain too, because we have allowed the weakening of our collective identity’. Terrorism is thus explained as an identity problem, with British values as a solution. And that is why the narrative is so problematic. Headlines such as ‘Jihadist Plot to Take Over Birmingham Schools’ from the Birmingham Mail, ‘British Girls Inspired by Jihad’ from the Evening Standard, and the unfortunate choice of photos by the BBC are part of a wider narrative directly linking British Muslims with terrorism. That is not to say that there are not important issues raised by the Ofsted report, such as evidence of gender segregation in the classroom. Nonetheless, if the solution is the promotion of British values, such as tolerance and equality, how can they be promoted in a climate where to be visibly Muslim is to be suspicious? In the Illiad, a horse was an emblem of Troy, with the wooden horse a metaphor for a civilization being destroyed by its own symbol. In light of the narrative surrounding British Muslims, we must be careful that the clamour for British Values itself does not become such a symbol and serve to foster only further division and exclusion. This entry was posted in Discrimination, Politics, Theory and tagged Gove, Islam, national security, politics, radicalism, schools, UK. Bookmark the permalink.